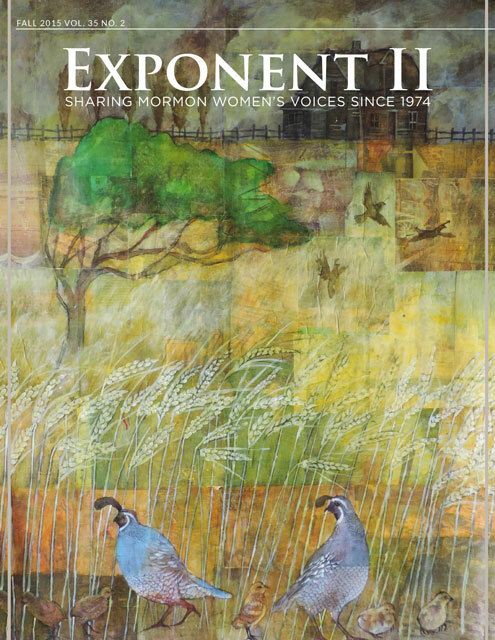 Since it’s the time of year when we all pause for a few moments and commemorate the pilgrims, it seems fitting that Exponent II’s Fall 2013 issue, which has been compiled by the Midwest Pilgrims, should be arriving in hard copy form at your doorstep next week. 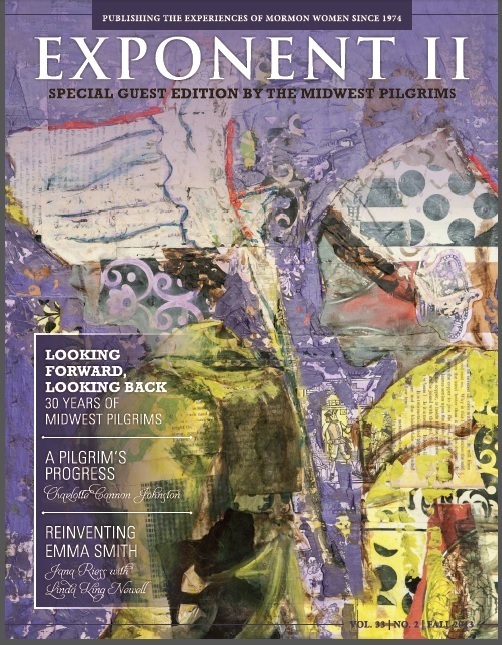 Guest editors, Linda Hoffman Kimball and Nancy Harward, have done a lovely job of gathering a variety of voices (including a few of our own Exponent bloggers) to reflect the feel of the Midwest Pilgrims’ Retreat as they celebrate the 30th anniversary of their annual retreat. Please read their Letter from the Editors below and don’t forget to order your copy here. It’d make a great Christmas present for someone special. The not-so-crystalline Mississippi River, swollen by heavy spring rains, was threatening to spill over the levy only a few feet from Nauvoo House when women began gathering there for the annual Midwest Pilgrimage the weekend of 19-21 April 2013. From all over the country we came, eager to lay our burdens down amid the footprints of bright angels like Eliza R. Snow, Lucy Mack and Emma Smith. Since 1983, the Midwest Pilgrims have been gathering for retreats—sometimes at the river, sometimes in the woods, sometimes in the city, but always listening for the melody of peace. Grace attends as we minister to one another with open arms, open ears, and open mics. retreat gave each of us the opportunity to stop and look at where we stand now, to determine the path we want to take from here, and to find companions to help us along our way. In addition to the articles first presented as talks at the retreat, this issue also includes more fascinating, funny, and thought-provoking work by women who identify themselves as Midwest Pilgrims. We invite you to join us at the next Midwest Pilgrimage, to be held 21-23 March 2014 in Rockford, Illinois. Check our website (www.midwestpilgrims.com) and the Midwest Pilgrims Facebook page for further information. No ties to the prairie? No worries! Our definition of “Midwest” is expansive enough to include like-minded women the world over. Come gather with us. Together, we may draw closer to the throne of God. Thank you, thank you, thank you to our beloved Midwest Pilgrim sisters for putting this issue together! I loved this issue and have already read through the whole thing. I am trying to access the Midwest Pilgrims website and it isn’t working. Is there another place to get the retreat info?